Sunday, Nov 25 -Sunday concert – 2 p.m.
Sunday, Dec 2 – Community Celebration Continues – Organ Pavilion – activities/booths up till concert time at 2 p.m.
Sunday, Dec 9 – Sunday Concert by Raúl Prieto Ramírez – 2 p.m.
Friday, Dec 14 – Special Organ Concert by Raúl Prieto Ramírez – 6 p.m – honoring members of the Spreckels Organ Society by playing their favorite-voted selections from this year’s concerts. Free event; all are welcome. 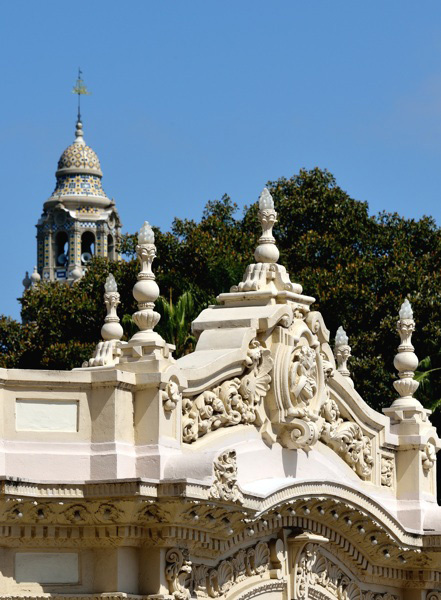 Sunday, Dec 16 – Sunday Concert – Christmas Carol Singalong – 2 p.m.
Sunday, Dec 23 – Sunday Concert – 2 p.m.
Sunday, Dec 30 – Sunday Concert – 2 p.m.
Tuesday, Jan 1, 2019 – New Year’s Day Concert – Organ Pavilion – 2 p.m.